We offer a different path through divorce. A path focused on thoroughly resolving all the legal issues while redefining relationships in a way that brings health. While the loss experienced in divorce is always sad, it doesn’t have to be the end of the world. It can be the beginning of a new life. A better life. We offer a path to new beginnings. Supported by a team of experts who educate about options and guide the process—clients retain control and shape parenting plans, property decisions, and other issues so that they can each move into independent lives while able to work together on the those areas that still connect them, and especially the children. The Future—Solution-Focused Divorce understands that divorce shatters dreams. That clients struggle with uncertainty and fear. At The Resolution Center we support clients as they move through these swings of emotion. We also maintain a focus on the future—for each individual and for the family as a whole. We help clients vision a life that gets better—then we engage in a process to make that vision a reality. For everyone. The Children—If clients are also parents, their number one concern is the impact of the divorce on the children. And rightly so. Divorce often becomes a child’s greatest fear—abandonment by their parents. Children survive divorce if—and only if—parents find a way to respect, honor, and work with each other. When parents continue to fully engage as Mom and Dad—children grieve the divorce, but they also survive and thrive beyond it. The Resolution Center educates and equips parents to craft a parenting plan that enables them to effectively co-parent even as they create separate lives. Financial Security—Both households need financial security to move into a better future. Solution-Focused Divorce doesn’t focus on “dividing property.” Instead, at The Resolution Center, we focus on the utilizing the resources accumulated during the marriage to create the most financial stability for both houses. 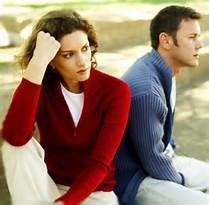 The average cost of a litigated divorce exceeds $30,000. No wonder divorcing couples use on-line resources to do it themselves. Yet, the cost of this option can be devastating. Many decisions made in divorce cannot be changed later—even if parties didn’t understand what they were doing or if circumstances change dramatically. The Resolution Center offers comprehensive services on a flat fee that is scaled to income and assets. Clients understand up-front the cost of the process. Free from worry about escalating fees, they engage in a process that protects their future and allows them to take control of their choices. See our pricing information here.